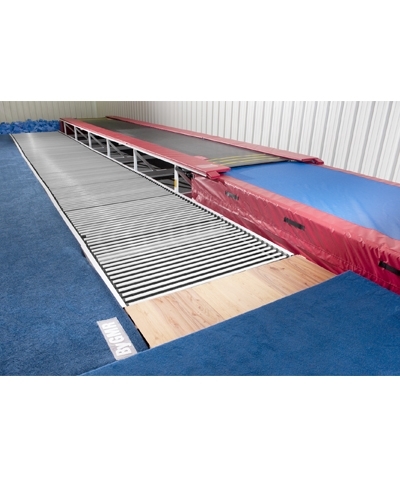 The competition Rod Floor landing mat system consist of (4) 5'x10'x12" dual density landing mats, each with velcro connectors. One mat has straps to secure it to the rod floor end. 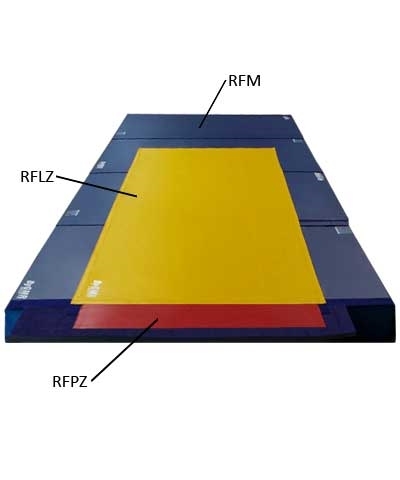 All four mats have velcro to secure the landing zone cover. See RFLZ landing zone cover and RFPZ for penalty zone cover. Must ship motor freight. Please use the quote button to request motor freight shipping charges.